Advent is starting in just over two weeks! Can you believe it? Every year our family works hard to celebrate in simple ways together and advent calendars are an easy way to stop and celebrate the holiday season every day. 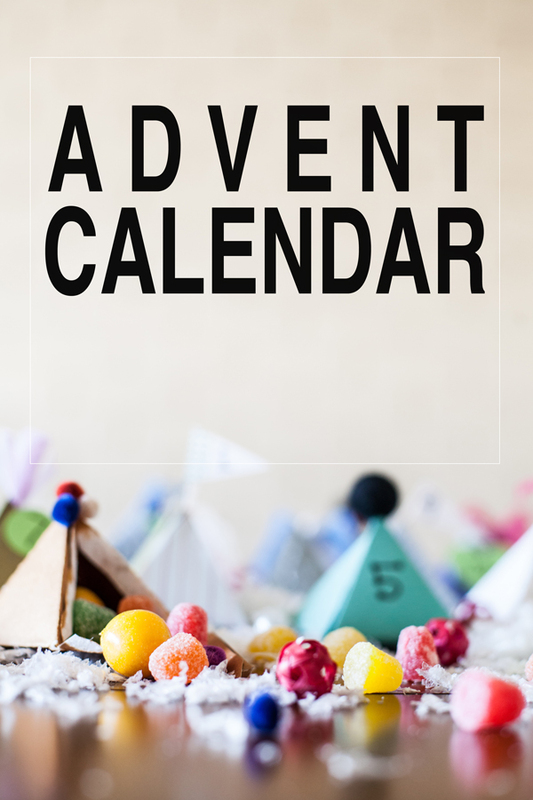 This kids love them for obvious reasons, and although our advent calendars take different shapes each year (balloons, folded notes and mailable photos are a few favorites), they always give us a special few moments each day leading up to Christmas. This year’s version will be simple, festive, and fun. 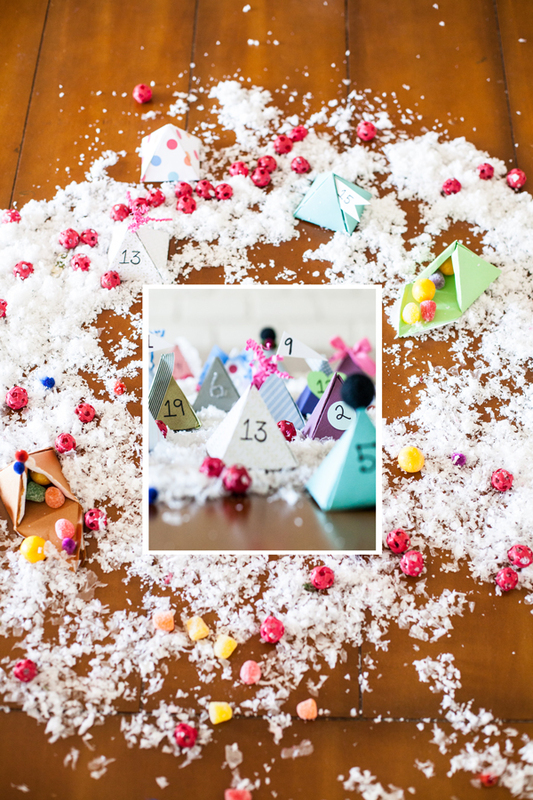 These pyramid boxes offer a perfect little hiding spot for candy, small toys, or strips of paper with family activities to be shared (here are 50 favorite holiday activities). 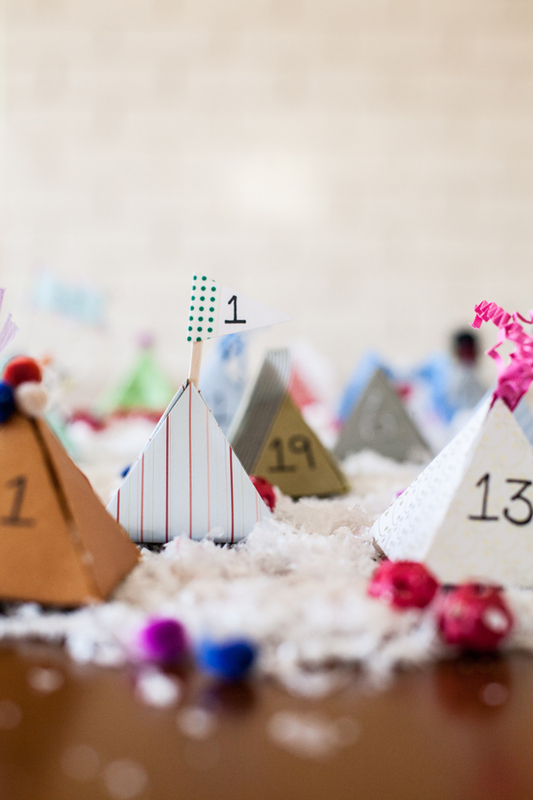 To make the pyramid box advent calendar you’ll need our printable pyramid template (download it right here), a selection of scrapbook paper, and lots of little doodads for decorating. 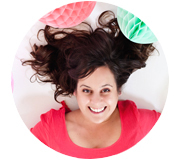 Raid your craft closet, your kid’s art supplies and pick up a couple bags of pom pom balls from the store. 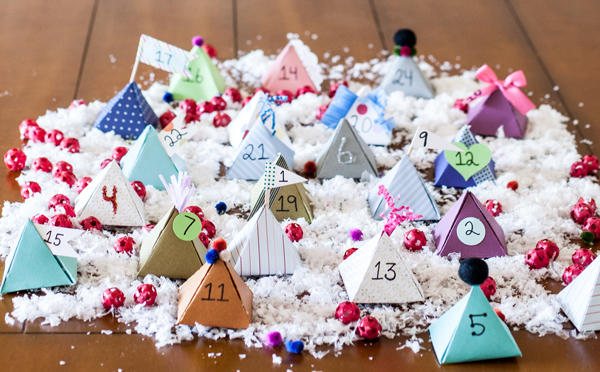 Begin by using the template to cut out 24 pyramids out of various pieces of paper. 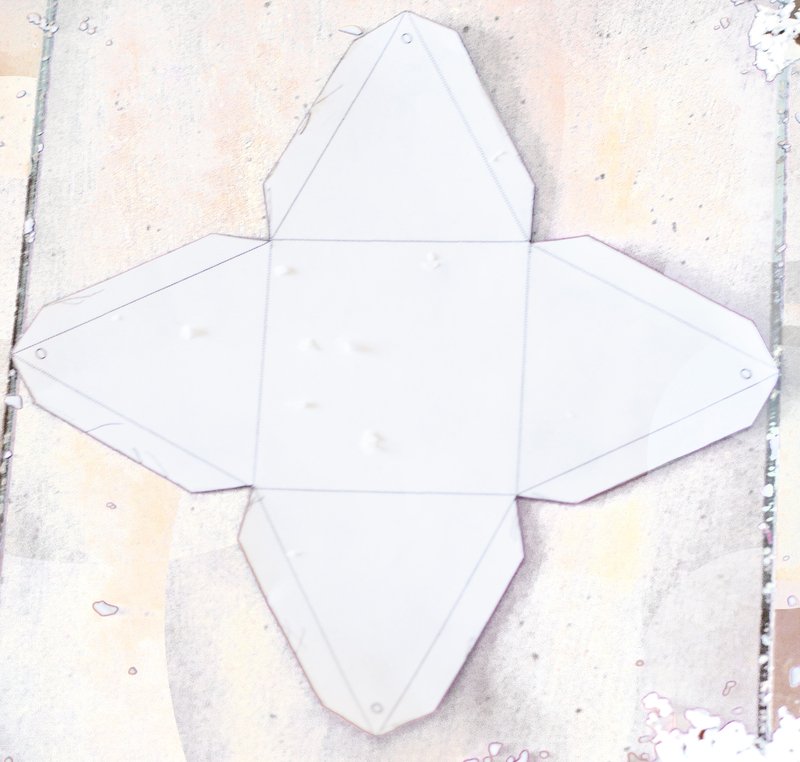 Fold along the lines and glue the sections together. Be sure to fill with candy before closing up the pyramids. 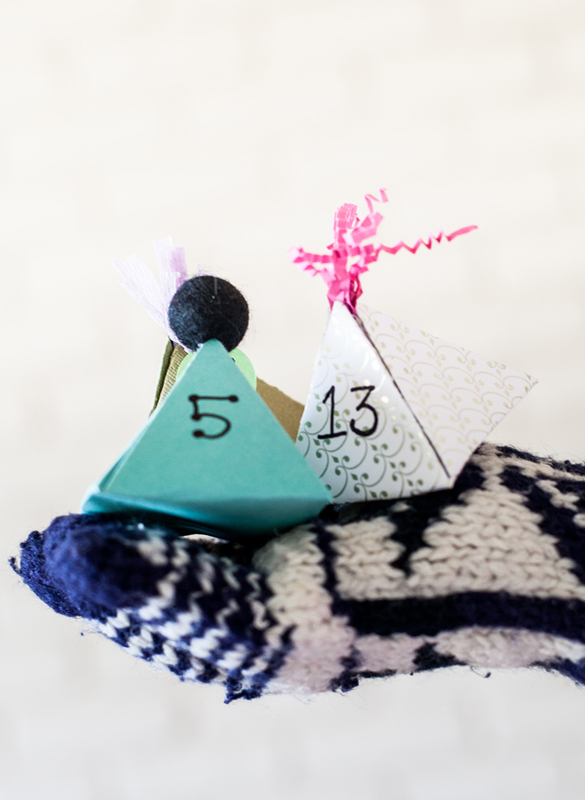 Add festive flair to each pyramid (the kids can even help with this). 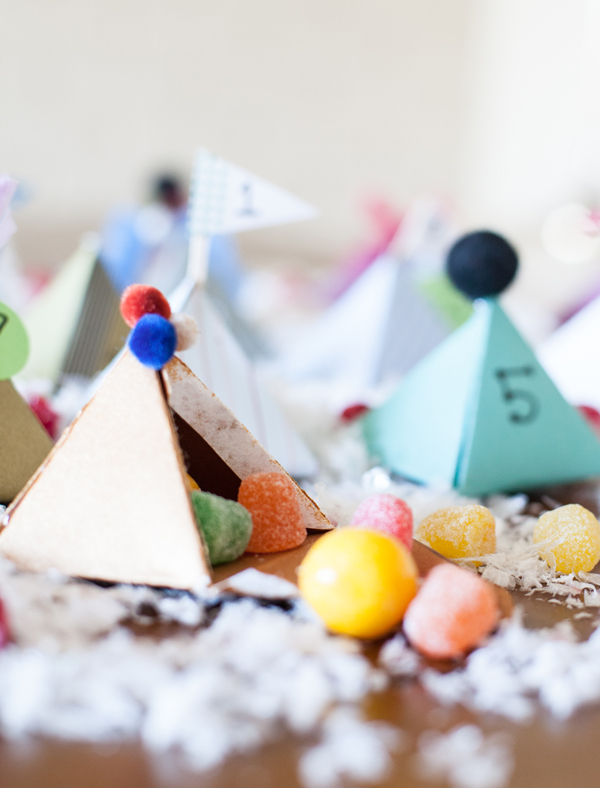 I loved small pom poms, washi tape, and little flags stuck onto toothpicks. Label each box and line up/set out to kick off Christmas fun on December 1st. Photography done in collaboration with Jocelyn Noel Photography.